박사후연구원, University of Pittsburgh, 2011.9.-2012.5. ●	Lee, K., Park, Y., & Lee, D. (Forthcoming). Measuring efficiency and ICT ecosystem impact: Hardware vs. software industry. Telecommunications Policy. ●	Kim, H., Lee, D., & Hwang, J. S. (Forthcoming). Dividing network externality into the number of peers and users—focusing on sociability and enjoyment in online games. Information Technology & People. ●	OH, S., SHIM, D., & LEE, D. (Forthcoming). Evaluation of complementarity effect of innovation policies: Venture certification and Inno-Biz certification in Korea. The Singapore Economic Review. ●	Kim, H., Lee, D., & Ryu, M. (2018). An Optimal Strategic Business Model for Small Businesses Using Online Platforms. Sustainability, 10(3), 579-589. ●	Na, H. S., Lee, D., Hwang, J., & Lee, C. (2018). Research on the mutual relations between ISP and ASP efficiency changes for the sustainable growth of the Internet industry. Applied Economics, 50(11), 1238-1253. ●	Kim, H., Lee, D., & Hwang, J. (2018). The effect of online platform maturity on the efficiency of offline industry. Telematics and Informatics, 35(1), 114-121. ●	Lee, C., Kim, J. H., & Lee, D. (2017). Intra-industry innovation, spillovers, and industry evolution: Evidence from the Korean ICT industry. Telematics and Informatics, 34(8), 1503-1513. ●	Lee, C., Lee, K., & Lee, D. (2017). Mobile Healthcare Applications and Gamification for Sustained Health Maintenance. Sustainability, 9(5), 772. ●	Lee, D., Lee, S., & Kim, J. H. (2017). Analysis on the evolution and innovation of online game industry using meta-frontier analysis. Asian Journal of Technology Innovation, 25(1), 158-167. ●	Na, H. S., Hwang, J., Hong, J. Y. J., & Lee, D. (2017). Efficiency comparison of digital content providers with different pricing strategies. Telematics and Informatics, 34(2), 657-663. ●	Lee, D., Kim, K., & Choe, C. (2017). An analysis of the impact of unionization on efficiency: evidence from a meta-frontier analysis. Applied Economics Letters, 24(8), 575-578. ●	Lee, K., Park, Y., & Lee, D. (2016). Effect of the ICT ecosystem structure on the sustainable growth of ICT firms: A metafrontier analysis on China, South Korea, the United States, and Japan. Sustainability, 8(5), 469. ●	Shin, J., Park, Y., & Lee, D. (2016). Strategic management of over-the-top services: Focusing on Korean consumer adoption behavior. Technological Forecasting and Social Change, 112, 329-337. ●	Kim, E., Lee, D., & Kim, J. H. (2016). 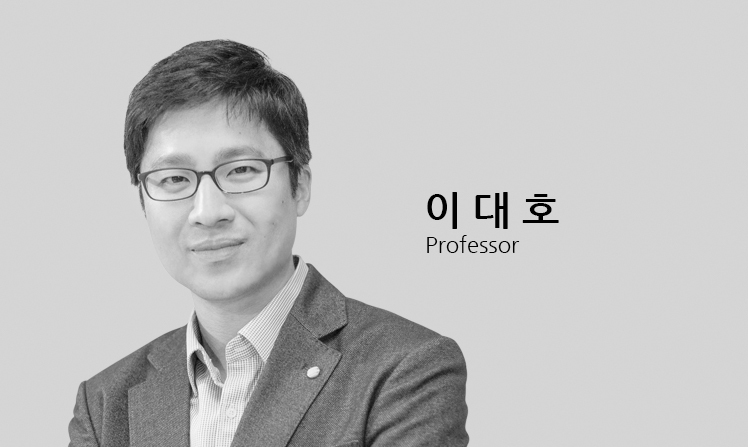 How collaboration networks affect innovation in Korea’s information and communication technology industry in the era of Internet of Things. Asian Journal of Technology Innovation, 24(2), 202-221. ●	Hong, J., Shin, J., & Lee, D. (2016). Strategic management of next-generation connected life: Focusing on smart key and car–home connectivity. Technological Forecasting and Social Change, 103, 11-20. ●	Shin, J., Choi, J. Y., & Lee, D. (2016). Model for studying commodity bundling with a focus on consumer preference: Evidence from the Korean telecommunications market. Simulation, 92(4), 311-321. ●	Kim, H., Lee, D., & Hwang, J. (2016). Measuring the efficiency of standardisation policy using meta-frontier analysis: a case of mobile platform standardisation. International Journal of Mobile Communications, 14(1), 79-98. ●	허노영, 이대호. (2018). Study on the moderating effects of smart devices on e-learning outcomes in a digital environment. 한국혁신학회지, 13(1), 27-45. ●	김소정, 이대호, 신동희. (2016). Analysis of Intention to Use Car Infortainment in the Context of Intrinsic and Extrinsic Motivations. 정보사회와미디어, 17(3), 49-73. ●	김규리, 홍유정, 신동희, 이대호. (2016). 서비스 측면에서 부모들의 키즈 웨어러블 사용의도에 관한 연구. 한국혁신학회지, 11(2), 201-223. ●	Daeho Lee. (2010). Network Neutrality and the Efficiency of Internet Application Service Providers: A Meta-Frontier Analysis, in: Almas Heshmati and Sun Peng (Eds), Information and Communication Technologies Policies and Practices. NOVA Publishers, pp. 105-118.